Rocktopia is delighted to add a new addition to its already excellent team, welcoming DJ Steve Price to the fold! Well known for the 'Steve Price Rock Show' that airs weekly on radio station ARfm, Steve will now lend his skills to Rocktopia, bolstering the popular podcast service pioneered by Pilar Sanchez. 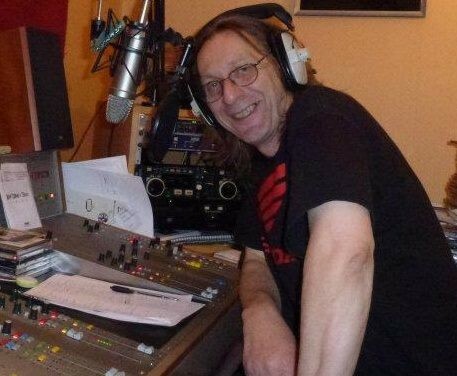 Steve brings a wealth of experience from many aspects of the music industry and has also recently being contributing reviews to Fireworks Magazine and Rocktopia. Steve's addition is another step forward in Rocktopia's drive to become the one stop shop for all your needs in the world of melodic rock. Welcome him by downloading his first podcast here*! Including all the latest songs by Gotthard, Trixter, Tyketto, Crazy Lixx, Jack Blades, H.E.A.T. and many more!